An enclosed deck, often referred to as a sunroom, can be the perfect transition between the indoors and outdoors. With your enclosed fence you will benefit from all of the comforts of home while experiencing all that nature has to offer. 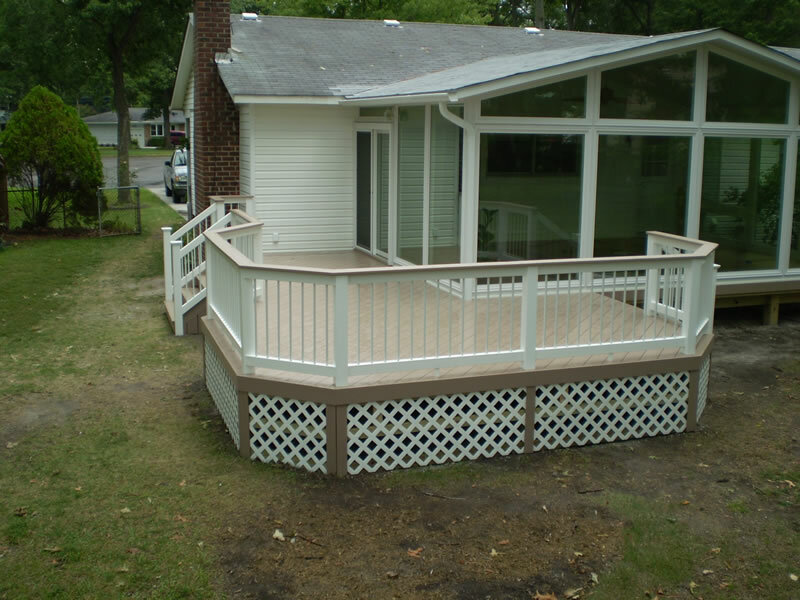 Functionality: Increase the functionality of your deck and your home with an enclosed deck. Rain or Shine: Don’t let Mother Nature ruin another cookout. Invest in an enclosed deck and begin throwing parties rain or shine. Heating & Cooling: An enclosed deck allows homeowners to install ceiling fans, air conditioners, and run electricity to utilize space heaters and fans. Not you can enjoy the benefits of your deck all year long. Bugs be Gone: Are you tired of mosquitos, moths, or creepy crawlies ruining your events? Well, then an enclosed deck may be the perfect solution. Safety: If you have kids, then an enclosed deck is great for rainy days and inclement weather. This entry was posted on Thursday, October 17th, 2013	at 3:27 pm	. Both comments and pings are currently closed.